The Viola and the Rossoneri win three points and look to the Juve match tomorrow; the Hellas is imposed on Chievo, equal between Rome and Pink Bari and Florentia and Sassuolo. Rome, 13 April 2019 - After the week of stop due to the commitments of the National teams, Serie A returned to the penultimate act, but still uncertain both for the award of the title and for the fight for salvation. At the top of the standings the aspirants to the Fiorentina and Milan title do not disappoint: the team of Antonio Cincotta and that of Carolina Morace win against the Bergamo Orobica and Atalanta and pass the first of the class committed tomorrow in the home match with Tavagnacco (game transmitted by Sky starting from 12.30). 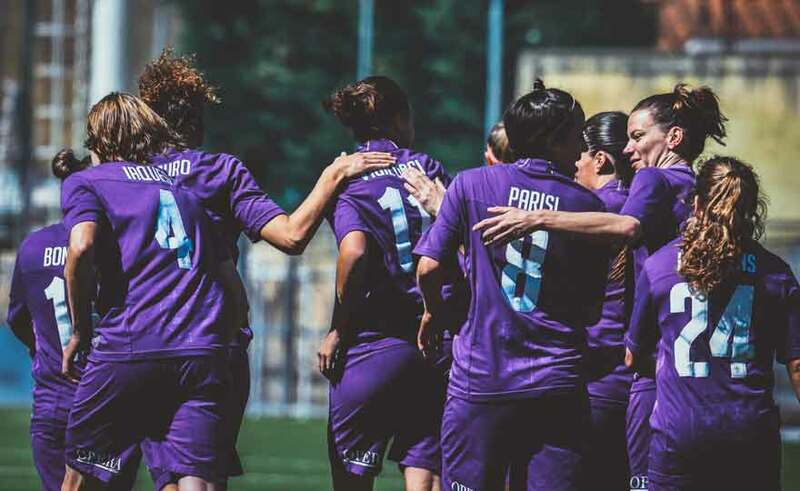 Viola scores three points at the home of the relegated Orobica with Clelland and Vigilucci's 2-0, and at least until tomorrow they will be first at 52.
second to 51 points. In the home of the Nerazzurri, Sabatino broke the deadlock at the 50 'from the spot and Giacinti - more and more a leader in the scorers' rankings - doubles at the end. At the end the most significant result is the victory of Hellas in the Verona derby with Chievo Valpo. The race ends with Pasini's 1-0 for guests and overtaking in the standings to the detriment of the clans. Ninety minutes from the end of the championship, it is therefore the Hellas - at 19 altitude - to occupy the third last position, valid for the permanence in the maximum championship. Draw instead for Pink Bari, third team still fighting for salvation, at Roma's home. The Bari drivers at Tre Fontane take the lead with Lazaro, but Serturini draws the score from the spot and leaves the hopes of the Apulian rivals at the crossroads of the last round. The last draw of the XNUMxesima day of return, irrelevant in terms of ranking, is the one between Florentia and Sassuolo: Nocchi signs the home advantage of the Tuscan teams in the start, but Iannella brings the balance back to the 21 '. The verdicts of the Series at 38-2018, except for the relegated Orobica, are therefore postponed to the next weekend, which in ninety minutes will award the title, will establish who will access the next Champions League and who will start from the Serie B.